Expedia has some amazing Salinas de Hidalgo package deals Bundling your bookings is a surefire way to save money and time — and get your trip off to a great start. You won't need to look around a whole bunch of websites for your travel needs. With more than 400 partner airlines and 321,000 properties around the world, our international database has got it all. Nearly ready to go on your Salinas de Hidalgo vacation? Not sure what sorts of things to put on your travel itinerary? No need to fret — we're here to give you some pointers. Salinas Culural Center puts on various performances and festivals throughout the year. Make sure you check out the schedule of events for your next activity. You'll find plenty to keep you occupied in and around this destination. If you're in the mood for a little spiritual enlightenment, stop by Shrine of Nuestro Padre Jesus Nazareno. Who knows, you may even glimpse the answers to some of life's most essential questions! Still have some time to spare? The wider area is home to some must-do activities, like mountain biking. Get out there and give it a shot! Ponciano Arriaga International Airport (SLP) can be found 60 miles (97 km) southeast of the middle of Salinas de Hidalgo. Pull your bags off the carousel, call for a taxi and let your getaway begin! 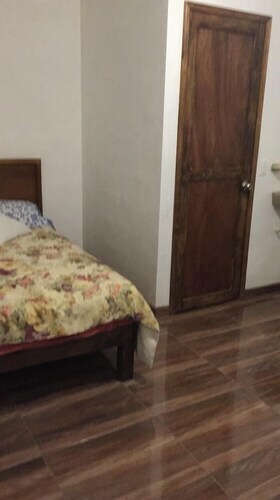 Situated in Venado, this hotel is 14.7 mi (23.6 km) from Church of San Francisco.